Three sitting District Judges from Dallas County plan to run for the Fifth District Court of Appeals in 2020. Judge Bonnie Goldstein of the 44th Civil District Court will campaign for Place 3. Judge Craig Smith of the 192nd Civil District Court will seek Place 6. Judge Dennise Garcia of the 303rd Family District Court will run for Place 8. 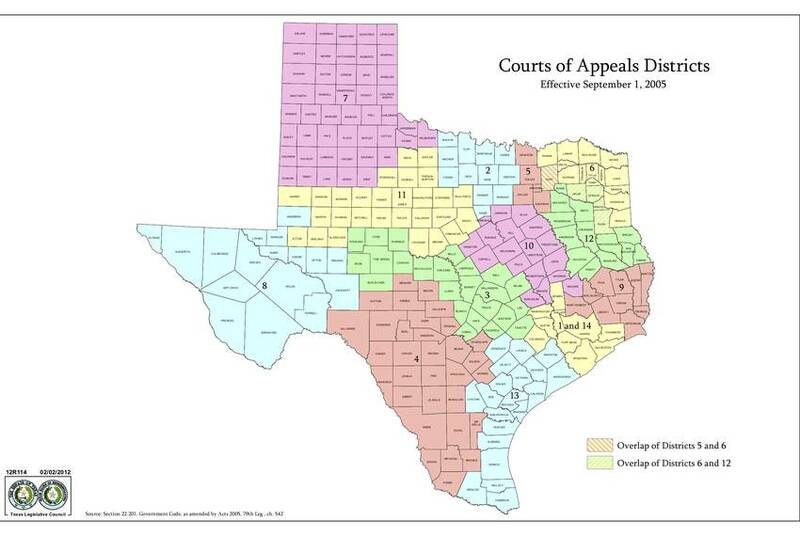 The Fifth District Court of Appeals handles all types of appeals – family, civil and criminal – from a six-county district comprised of Dallas, Collin, Grayson, Hunt, Rockwall and Kaufman counties. Judge Goldstein was first elected to the 44th Civil District Court in 2014. She has 28 years of combined legal and judicial experience. A graduate of the National Law Center at George Washington University in Washington, D.C., Judge Goldstein’s background is in construction litigation, education law, state and local government, government contracts and procurement law. She has also served as a judge for the cities of Dallas and Cockrell Hill. Judge Goldstein is bi-lingual and once served as the Legal Counselor to the Mexican Consulate in Houston. She ran for the Fifth District Court of Appeals in 2010. Judge Smith was first elected to the 192nd Civil District Court in 2006. He has been honored as the Trial Judge of the Year by the Dallas Chapter of the American Board of Trial Advocates, and also received the Hartman Judicial Pro Bono Service Award from the Dallas Bar Association. He served as President of the Texas Association of District Judges from 2010 to 2013. Board Certified in both Civil Trial Law and Personal Injury Trial Law, Judge Smith has more than 40 years of combined legal and judicial experience. Judge Garcia nearly won her campaign for Fifth District Court of Appeals in 2016. This is her second attempt. Judge Garcia would bring a wealth of family law knowledge and experience to the court. She was first elected to the 303rd Family District Court in 2004. She has served as Presiding Judge of the Dallas County Family District Courts, and she is Board Certified in Family Law. Judge Garcia’s honors include being named Jurist of the Year by the Texas Chapter of the American Academy of Matrimonial Lawyers, a Dallas Observer Best of Dallas Award, and a Profiles in Leadership Award from the SMU Women’s Symposium. She has 24 years of combined legal and judicial experience. In the recent 2018 midterm election, Democratic candidates won all eight contested seats on the Fifth District Court of Appeals. Texas law allows state district judges to seek higher judicial office without resigning. Judges Goldstein, Smith and Garcia will continue service on their current benches. It won’t surprise me if we see a few more announcements like this. Nothing will stop anyone else from jumping in, but there’s no harm in staking a claim. I’ll say this, if Dems dominate the appeals court races in 2020 as they did in 2018, I’d expect to see a push to redraw the appellate court map in 2021. We might even see it this session, but that might be seen as an admission of weakness, which I don’t think the Republicans are ready or willing to make at this time. But one more cycle of incumbent judges getting booted, and I suspect all options will be on the table. Democrat Joanna Cattanach conceded Thursday afternoon to Republican state Rep. Morgan Meyer of Dallas, closing out the last recount requested by a candidate after this year’s midterm election. Cattanach’s statement comes almost one month after the 2018 midterms. She had trailed Meyer by roughly 200 votes and requested a recount nearly a week after the election. The outcome of the House District 108 race runs counter to the pattern this year in other Dallas-area districts, where nearly all state House seats once held by Republicans flipped in Democrats’ favor. “I am so very proud of the work we did to move a long considered unwinnable district where no Democrat even ran in 2016, and no challenger has come close to victory, to a district that will now be considered among the most competitive in 2020,” Cattanach said. See here for the background. HD108 was, at least on paper, the reddest of the Dallas County districts, so it’s still a little amazing to me that Cattanach came so close to winning it. 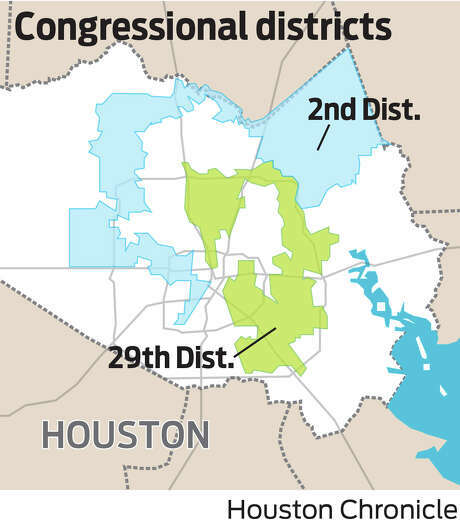 It and HD112, the only other Dallas district now held by a Republican, will surely be high on the target list for 2020. Thanks to Joanna Cattanach for running a strong race, and congratulations to Rep. Meyer on his re-election. The DMN has more. Dallas County Republicans will appeal a ruling that blocked efforts to remove scores of Democrats from the November election ballot. A formal intent to appeal was filed Monday on behalf of Missy Shorey, the chairwoman of the Dallas County Republican Party, with the Fifth Court of Appeals in Dallas. Shorey argues that Dallas County Democratic Party Chairwoman Carol Donovan did not properly certify candidate petitions and forward them to the Texas Secretary of State’s office. The lawsuit, originally filed in January, showed that Donovan did not sign 127 candidate petitions. “The case was inappropriately dismissed,” local GOP lawyer Elizabeth Alvarez Bingham said in an email Tuesday night. But Donovan said nothing had changed with the Dallas County Republican Party’s lawsuit. “The trial court found the Republican Party’s lawsuit to be frivolous, and their appeal is frivolous as well,” Donovan said in a text message. It’s unclear if the appeals court, which is majority Republican, will hear the case before the November general election. See here for the previous update. I can understand appealing the dismissal – as noted in the story, the judge did not elaborate on his reason for dismissing the case – but I don’t get waiting four months to file it. The lawsuit has always seemed to be tenuous at best, relying on a very strict reading of election law that nobody seems to adhere to at that level, with the penalty being quite extreme and falling on candidates who themselves did nothing wrong. I would also note that we are fast approaching a deadline for when absentee and overseas ballots have to be printed and mailed, so the court would have to act very quickly if it were going to take action (another reason why the delay in appealing puzzles me). I suspect nothing will come of this, but as always with courts you never can be sure. Later in the week, Bexar County followed suit. Bexar County on Thursday filed a lawsuit against opioid manufacturers and distributors that it says are responsible for the “tremendous expense” and devastating local impact endured as a result of the addiction epidemic. “As of today we know that in San Antonio 100 residents have died annually from overdosing on opioids,” Bexar County Judge Nelson Wolff said at a press conference at the County courthouse. Filed in state district court, the lawsuit follows commissioners’ resolution in October to pursue litigation against more than 50 companies, including Johnson and Johnson, Teva Pharmaceutical, and Purdue Pharma, the maker of the synthetic opioid OxyContin. “These manufacturers and distributors did not only put opioids into the market,” Martin Phipps, a lawyer with Phipps Anderson Deacon, said at a press conference Wednesday. They also advertised opioids directly to the military and specific populations and misled prescribers regarding potential for addiction and other long-term health complications, including brain and liver damage, he explained. The firm is working with local law firm Watts Guerra to bring the lawsuit forward on the County’s behalf. The city of San Antonio may join in later in the year. Dallas County was ahead of the curve. Dallas County sued a slew of drug companies and doctors this week over their alleged roles in the deadly opioid epidemic, joining dozens of other governments nationwide that have launched court battles. The 59-page claim filed Monday in Dallas County court accuses at least 11 pharmaceutical companies — including Purdue Pharma, which makes the bestselling painkiller OxyContin — and three local doctors of knowingly pushing addictive drugs on patients while claiming they were safe. The three doctors have all been convicted of illegal “pill mill” over-prescription practices. County Judge Clay Jenkins said the goal of the lawsuit is to recoup some of the money that the county has had to pay for medical care and substance abuse treatment at Parkland Memorial Hospital, as well as responses by law enforcement and the jail. The suit is seeking actual and punitive damages, without specifying a number. I have to assume that Harris County and the city of Houston are looking into this as well. Perhaps a reporter ought to inquire about that. Other states and localities around the country blazed the trail last year. This may all seem far-fetched, but one need only look back at the litigation filed against tobacco companies in the 90s to see the possibilities. At some level, this is what tort law and the civil courts are all about. And when you read about the family that has been raking in millions of dollars from all this, you might think it’s about time someone did something about it. The Dallas County Republican Party will have to pay more than $51,000 to Dallas County Democrats for attorney fees incurred in defending the GOP’s attempt to remove dozens of Democrats from election ballots. In his final order for the case, state District Judge Eric Moyé ordered the plaintiffs to pay Democrats for the work of three lawyers in the case. The bulk of the $51,600 — more than $32,000 — was awarded to the Dallas County Democratic Party to pay its lawyer in the case, Randy Johnston. The action came after Moyé dismissed the case late last month. Elizabeth Alvarez Bingham, the lawyer for the Dallas County GOP, said she had not seen Moyé’s order. 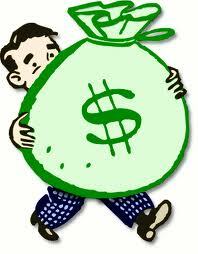 She said state law “exempts us from attorney fee awards because we used a public figure” to file the case. Missy Shorey, the Dallas County GOP party chair, was the plaintiff. Bingham, who earlier argued unsuccessfully that Moyé should be removed from the case because he recused himself on another ballot challenge, said she was told she had until Monday to argue against her client having to pay lawyer fees. See here for the background. Good luck with those arguments, Dallas GOP, which did file a response and will get a hearing on Monday for the judge to reconsider. I admit it made me sweat for awhile, but this lawsuit was just too clever by half. The people that filed it deserve their fate. The Dallas Observer has more. A judge on Monday dismissed a lawsuit that would have removed more than 80 Democrats from the November general election ballot, putting to rest a controversy that threatened to toss Dallas County elections into chaos. State District Judge Eric Moyé issued an order tossing out Dallas County Republican Party Chairwoman Missy Shorey’s lawsuit against Democratic Party Chairwoman Carol Donovan and 127 Democrats originally listed on the March 6 primary election ballot. After the primary, the names of the candidates that were in jeopardy dwindled to 82. The lawsuit contended that Donovan did not sign the candidate applications of 127 Democrats before they were forwarded to the Texas Secretary of State’s office. That signature, according the lawsuit, was needed in order to certify the candidates for the election. But Moyé on Monday sided with the defense and dismissed the claims. In a hearing Friday a team of lawyers, led by Randy Johnston, argued that Shorey did not have standing to bring the suit. They also said Donovan isn’t required by law to sign candidate petitions and that the matter is moot because the election is already underway. Now Moyé will determine if the GOP will be on the hook for legal fees. About 16 Democrats plus the local party retained lawyers. “The Republican Party must now pay the attorney’s fees incurred by the Dallas County Democratic Party for having to defend a lawsuit that has no basis in law or fact,” according to a news release from Dallas County Democrats. See here, here, and here for the background. This lawsuit always seemed spurious, but you never can tell. It’s possible there could be an appeal – the lawyer for the Dallas County GOP said they were reviewing the decision and deciding on their next step – but that seems like an even longer longshot. Hopefully, this is the end of it, and hopefully the matter of “signing” the affidavit can be clarified in the next Legislature so as to avoid this kind of silliness going forward. The Trib has more. Round One goes to the Dems. The Dallas County Republican Party on Monday failed in an attempt to have a judge removed from a case that could disqualify 82 Democratic Party candidates from the general election ballot. Kerrville’s Stephen Ables, the administrative judge for the Sixth Judicial Region, said the GOP did not present evidence that state District Judge Eric Moyé was biased and could not properly preside over the controversial lawsuit. He made his ruling after hearing oral arguments from lawyers representing both parties. Several Democratic judicial candidates who are targeted in the case hugged after the ruling. And state Sen. Royce West, D-Dallas, said quietly that round one was over. The suit, brought by the Dallas County Republican Party, contends that the candidates are ineligible to be on the ballot because Carol Donovan, the chairwoman of the Dallas County Democratic Party, didn’t physically “sign” or certify the petitions that were ultimately accepted by the Texas secretary of state’s office. At one point it sought to disqualify 127 Democratic Party candidates, but the March 6 primaries whittled the number down to 82. See here, here, and here for the background. This has nothing to do with the merits of the case itself, it just means we don’t need a new judge before getting to the main question. I presume the next step would be a hearing on Rep. Eric Johnson’s motion to dismiss, and once that is resolved if the suit is still active then a hearing on the Dallas County GOP’s arguments. The story says that Judge Moyé “could hear the case in the coming weeks”, which doesn’t tell us much. 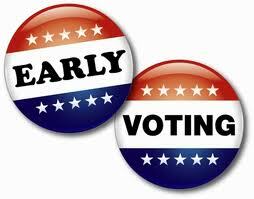 At some point, you begin to run up against statutory deadlines for the election calendar, so one way or another this will be concluded in a reasonably timely fashion. I’ll keep my eyes open for further updates. State Rep. Eric Johnson on Monday asked a judge to dismiss a lawsuit that would kick him and other Democrats off the November general election ballot. The suit, brought by the Dallas County Republican Party, contends that the candidates are ineligible to be on the ballot because Carol Donovan, the chairperson of the Dallas County Democratic Party, didn’t physically “sign” or certify the petitions that were ultimately accepted by the Texas secretary of state’s office. Johnson, an intervenor in the case against Donovan and the Dallas County Democratic Party, says the Texas law does not require Donovan to sign the petitions. In his suit, he contends the Texas Citizens Participation Act assures his place on the ballot, which is an exercise of free speech, protection against “meritless” or “retaliatory” lawsuits. Before the case can be heard, a judge will consider whether state District Judge Eric Moye should preside over it. That hearing is set for March 26. See here and here for the background, and here for a link to Rep. Johnson’s motion. The law the motion relies on is here, and I’ll leave it to the attorneys to assess the merits of the argument. I’ve read the motion and it’s fairly technical, but as far as I can tell it’s basically the same logic I heard people express when the suit was first filed. We’ll (eventually) see what the courts make of it. Dallas County Republicans have filed a motion to remove Judge Eric Moyé from overseeing a lawsuit that would remove 127 Democrats from the 2018 general election ballot. Moyé, a Democrat, has refused to step aside in the case, according to court documents. His decision is unlike one he made in an earlier case about ballot eligibility, when he recused himself. Elizabeth Bingham, a lawyer for the Dallas County Republican Party, said it “boggles the mind” that Moyé did not remove himself from the case, given his ties to the Democratic Party and that he’s done so on similar cases. Moyé, who is not up for re-election, has used Jeff Dalton as his political consultant. Dalton is the consultant for numerous Democrats on the 2018 election ballots. “I am perplexed that he won’t recuse himself,” Bingham said. But Buck Wood, a lawyer for 16 of the candidates who would be affected by the suit, said judges sometimes recuse themselves because of the political optics. But he said there’s no law requiring them to do so if they are in situations similar to Moyé’s. A hearing on the case is scheduled for Feb. 16, but the case won’t move forward until Regional Administrative Judge Mary Murphy sets proceedings on whether Moyé should continue on the case. See here for some background. I mean, if having a Democratic judge is a conflict of interest, then wouldn’t having a Republican judge be one, too? Maybe we’ve finally found a compelling-to-me argument for changing our system of electing judges. Good luck sorting this one out. Whatever ruling we eventually do get will be for the November election, not the primary. Sorry to burst your bubble if you were hoping for a quick resolution. Dallas County Republicans have filed a lawsuit to have 128 Democrats kicked off the March 6 primary ballot. The lawsuit, filed in Dallas County late Friday, contends that Dallas County Democratic Party Chairman Carol Donovan didn’t sign the petitions of 128 Democratic Party candidates before sending them to the Texas Secretary of State’s office, as required by law. The news stunned some Democrats after a lawyer for their party notified them of the lawsuit Sunday afternoon. According to the lawsuit, only a fraction of the candidate petitions approved by Donovan actually contained a signature by her hand. The GOP lawsuit alleges Donovan’s signature on other petitions was not hers. DELIVERING, SUBMITTING, AND FILING DOCUMENTS. (a) When this code provides for the delivery, submission, or filing of an application, notice, report, or other document or paper with an authority having administrative responsibility under this code, a delivery, submission, or filing with an employee of the authority at the authority’s usual place for conducting official business constitutes filing with the authority. In other words – and remember, I Am Not A Lawyer – it seems like the law allows for an employee of the county party to sign the documents, in place of the Chair. Which is what Maxey and Birnberg are saying. Individual candidates have had ballot applications rejected for technical issues with petitions they have submitted, but this isn’t quite the same as that. There’s also the question of standing, which DCDP lawyers brought up in response to this suit. According to a document filed late Monday on behalf of 14 candidates threatened with removal from the ballot, the Dallas County Republican Party and its chairwoman, Missy Shorey, have no standing to bring the suit, since they are not candidates in the election. Shorey and her attorney, Dallas lawyer Elizabeth Alvarez Bingham, argue that Dallas County Democratic Party Chairwoman Carol Donovan was required to sign the candidate paperwork of Democrats appearing on the March 6 ballot and send the documents to the Texas Secretary of State. Donovan signed only a fraction of the petitions submitted to her, but her signature, clearly signed by someone else, appears on the documents of the 128 candidates in question. But the candidates, led by state Sen. Royce West, D-Dallas, say there’s nothing in election law that requires Donovan to “sign” candidate petitions, and that she can designate a person to review and sign petitions, if she chose. Buck Wood, an attorney for the 14 candidates who responded to the suit, said it’s unlikely that the GOP lawsuit would result in anybody being removed from a ballot. Wood said process duties, like those of a county party chairman, should not determine the fate of an “eligible” candidate because it would open the door for sloppy or diabolical county leaders sabotaging efforts of candidates across the state. I have a hard time believing a court would essentially cancel dozens of elections for what seems to be normal practice, but I suppose anything can happen. At the very least, it looks like this action may be dismissed or withdrawn for now, but may be raised again after the primaries. We’ll see. Meet Lupe Valdez’s designated successor. Chief Deputy Marian Brown, former Dallas County Sheriff Lupe Valdez’s third in command, will serve as interim sheriff until voters elect a new one in November. Valdez is stepping down to run for governor. Brown, a 29-year law enforcement veteran in her fourth year with the sheriff’s office, is running as a Democrat to replace Valdez. The Dallas County Commissioners Court voted 5-0 to select Brown for the post. Valdez told reporters Tuesday that Brown has the right attributes to finish out the term and to be elected sheriff next year. “She’s accountable. She’s responsible. She’s professional. She’s diplomatic,” Valdez said. Brown, a Dallas native, joined the Duncanville Police Department in 1988. She was the first black woman hired by the department. She served the department for 26 years, focusing on community policing and relations, and was named assistant chief of police in 2007. In 2014, she resigned from Duncanville and joined the sheriff’s office as a chief deputy. 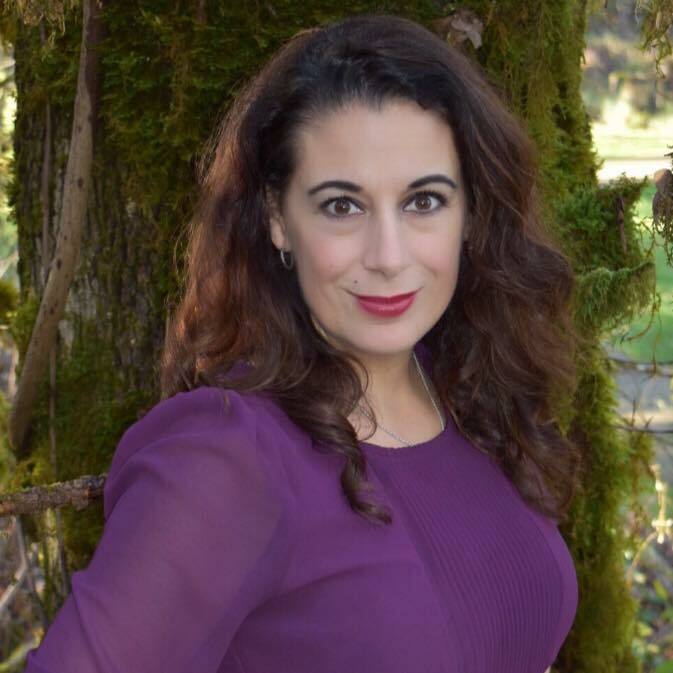 Brown is one of two Democrats running to replace Valdez. The other is Dallas County Precinct 4 Constable Roy Williams Jr. Two Republicans, Aaron Meek and Chad Prda are running for their party’s nomination in the upcoming March 6 primary. Congratulations to new Sheriff Brown. I don’t know anything about her or the other candidates running for her job, but I do know that if she is elected to a full term next November, she would become the second African-American woman to be elected Sheriff in Texas, joining Sheriff Zena Stephens of Jefferson County, who was elected last year. Sheriff Brown is also the first African-American to become Sheriff of Dallas. Now you know. Now here is some potential-candidate news of interest. Dallas County Sheriff Lupe Valdez has emerged as potential Democratic challenger to Gov. Greg Abbott in 2018. In an interview Monday, Valdez described herself as “in the exploratory process,” looking at the data for a potential run against the Republican incumbent. “I’ve been approached and I’m listening,” she said. There are 35 days until the candidate filing deadline for the 2018 primaries, and Texas Democrats are looking for a serious contender to take on Abbott. Valdez said she believes it’s “time for a change” in GOP-dominated state government. Abbott and Valdez have a history. In 2015, they clashed over her department’s policy regarding compliance with federal immigration authorities — an issue that later came up in Travis County, which includes the state capital of Austin. Those debates drove support behind the “sanctuary cities” bill that Abbott signed into law earlier this year. Valdez has won four elections as Sheriff in Dallas County; she would not be on the ballot in 2018. She would be an exciting and trailblazing candidate, and I would expect her to generate the most buzz out of the gate among the people who have announced at least an interest in the race. She’d be my frontrunner. That said, any Sheriff in a large urban county is going to have some things on their record that will look bad – mistreated inmates, rogue guards, that sort of thing. Greg Abbott will come at her hard over “sanctuary cities”, and he has a lot of money to spend on ads. The fact that she’s a lesbian will make some people mad. She’ll need – we’ll all need – to be ready for that. I don’t know what it will take to convince her to run, but I hope someone is telling it to her. The DMN and the Chron have more. Who gets the VW settlement money? That’s the fifty million dollar question. Volkswagen faces billions of dollars in fines in Texas for its admitted cheating on emissions tests, but the potential payday is being held up as the state Attorney General and county officials fight in court over which government agencies will get to claim a share of the proceeds from the German auto giant. Under Texas law, county governments are entitled to half the award that any legal action against Volkswagen brings – with the remainder going to state coffers. But with more than 20 counties suing Volkswagen in the aftermath of the emissions scandal, Attorney General Ken Paxton is attempting to toss out all but two of the counties from the case, leaving the state in charge and the counties with no chance to claim any of the penalties. The stakes are high for both the state and counties. A single county could reap tens of millions of dollars in penalties, at a time when low oil and gas prices are straining budgets across Texas and leading to cuts in public services. The Attorney General’s Office declined to comment. But in a filing earlier this year, Paxton argued that it was their office’s right to uphold Texas’ environmental laws and allowing the county lawsuits to proceed would lead to “the unconstitutional result” of Volkswagen being tried and fined multiple times for the same violation. In Texas, the company settled violations of the state’s anti-fraud laws for $50 million in November. But Volkswagen still faces far more costly violations of the state’s air pollution laws, which could potentially mean fines of between $50 and $5,000 per day for all 32,000 of its clean diesel vehicles registered in Texas. Some, which were sold under both the Volkswagen and Audi brands, have been on the road close to a decade. But the process of determining the extent of those penalties is being held up by the infighting between the state and counties over who gets to sue Volkswagen. After the trial court in Austin ruled the counties could remain in the case, the attorney general’s office filed an appeal in October with the Texas Third Court of Appeals. Sensing an opening, Volkswagen’s attorneys filed a motion to delay the entire trial until the question of the county lawsuits was resolved. With the matter of the county lawsuits potentially headed to the Supreme Court – a process that can take years – the state and counties’ attorneys both argued against delaying the trial. But in January the appellate court sided with Volkswagen. See here, here, and here for the background. This settlement is from state-level litigation; there was a separate federal lawsuit settlement that netted money for the state, as only the state was involved. 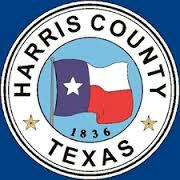 As the story notes, Harris and Fort Bend Counties filed their lawsuits first, then the state got involved, and subsequently tried to boot all the counties out as plaintiffs. I personally see no reason for that, but this is what the judge will have to decide.